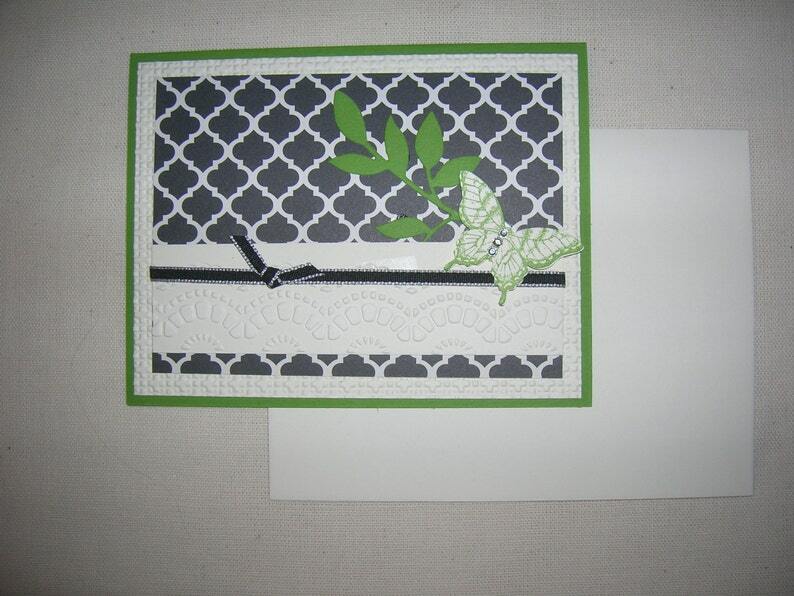 One hand stamped pretty black, white, and green lattice embossed card. The card features designer paper, embossed layer, and dainty black and silver ribbon. I added a stamped and punched butterfly with rhinestones, accented with some green leaves. Many layers form this sweet card to use for any occasion. Blank card to write a heartfelt sentiment.